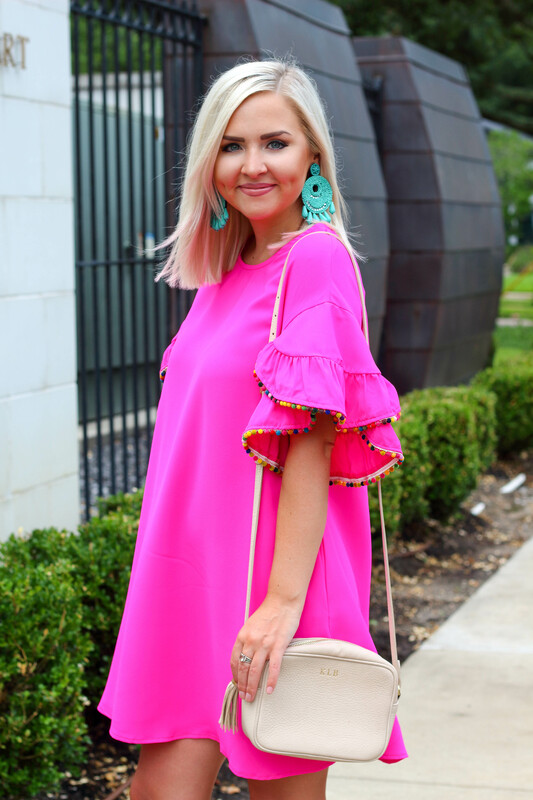 Another cute detail is the sleeves! Just look at the pretty pompoms. This had my name written all over it! Lol. 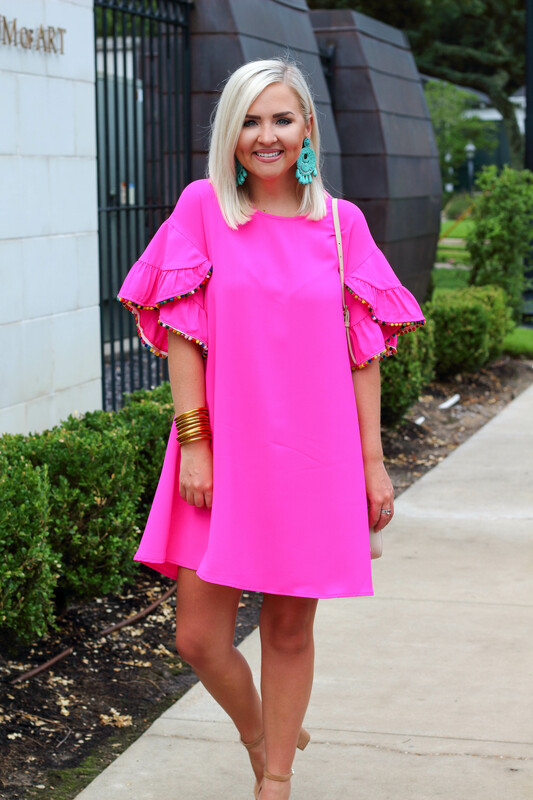 The fun pompom colors inspired me to pair this dress with turquoise earrings! 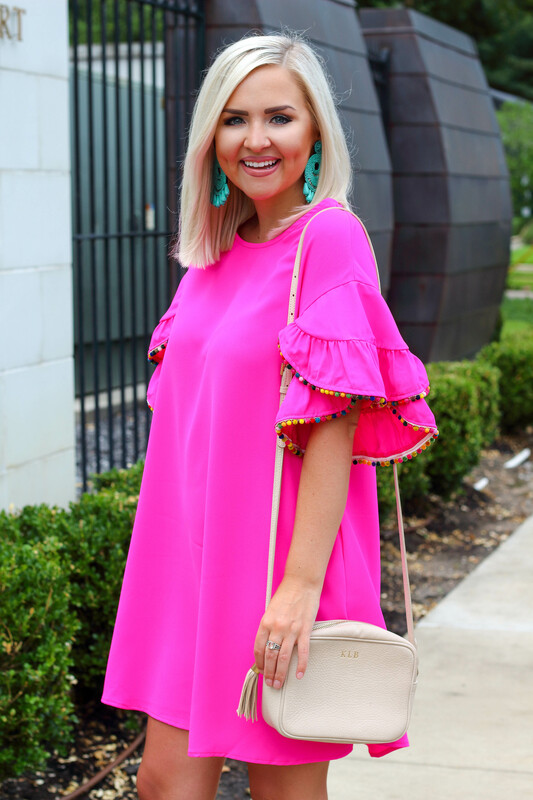 I love bold colors that compliment each other, and this combo has been on repeat the entire summer. BTW, I got a small in the dress for sizing reference. I think it’s very roomy! 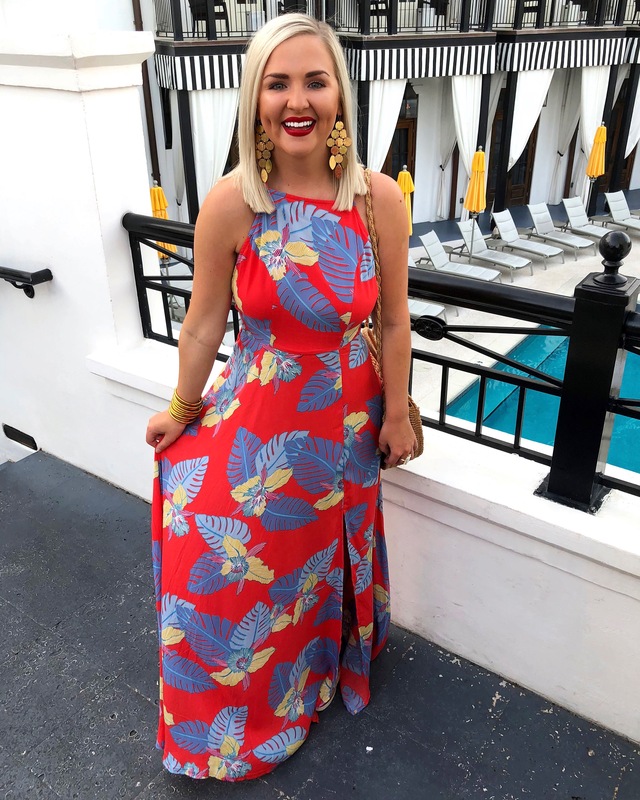 It’s one of those dresses that you can eat too many cupcakes in and not feel bad. (Or is that just me?! hahaha) I also received this little gingham print top, too. 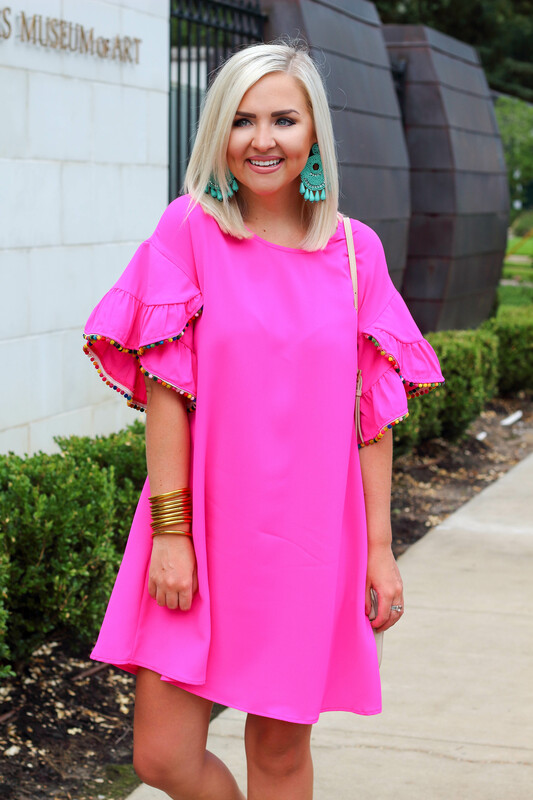 (ONLY $33) The cold shoulder sleeves are perfect! 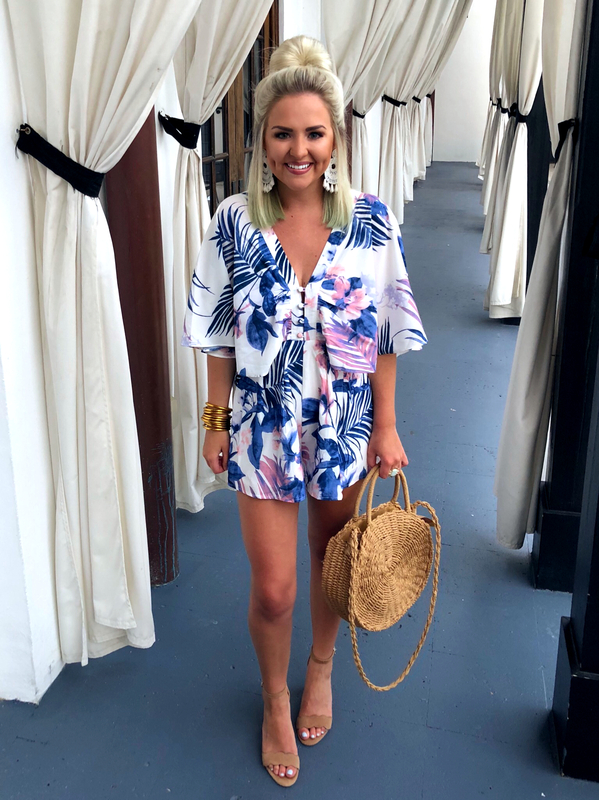 Sequins & Sass Boutique has got it going on with their cute summer merch, and you definitely need to check them out! 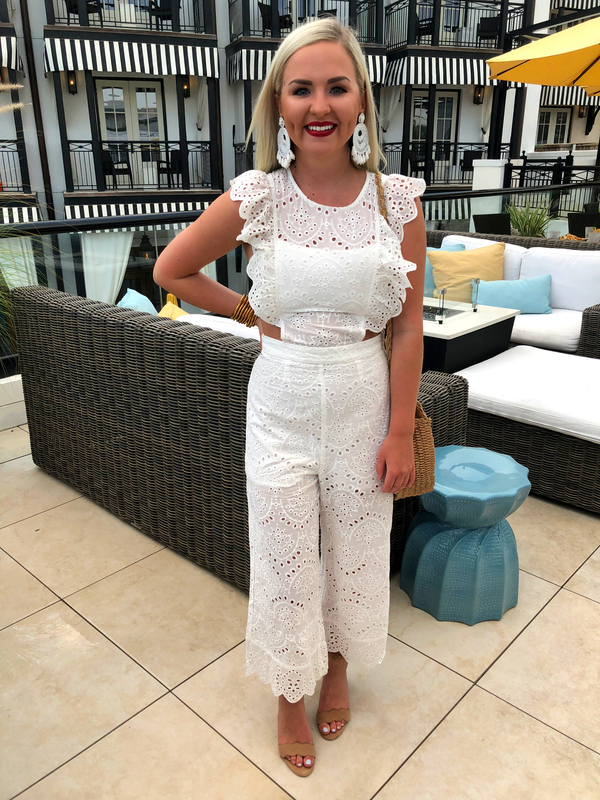 Since I graduated college in December, I have quickly realized that oversized t-shirts and Nike shorts aren’t always the best option for casual wear! Sure, the comfort level is amazing, but sometimes, you just have to move on. So what is the next best thing?! Definitely graphic tees! I was hesitant about them at first, but I LOVE these tops now. They’re fun, the perfect description for “casual cute”, AND easy to dress up with pumps or down with sneakers! I styled this graphic tee with my favorite pair of jeans and the best tan heels for an easy, yet chic look. (And seriously, you need these heels in your life. They have scallops after all!) I also created a low knot, so the top wouldn’t look baggy. I think that small touch adds a lot to the overall outfit! My graphic tee is actually from last summer, and similar ones are linked below! I like to be realistic and wearing a piece of clothing once just isn’t. But I always make sure I can find something almost identical to the product! 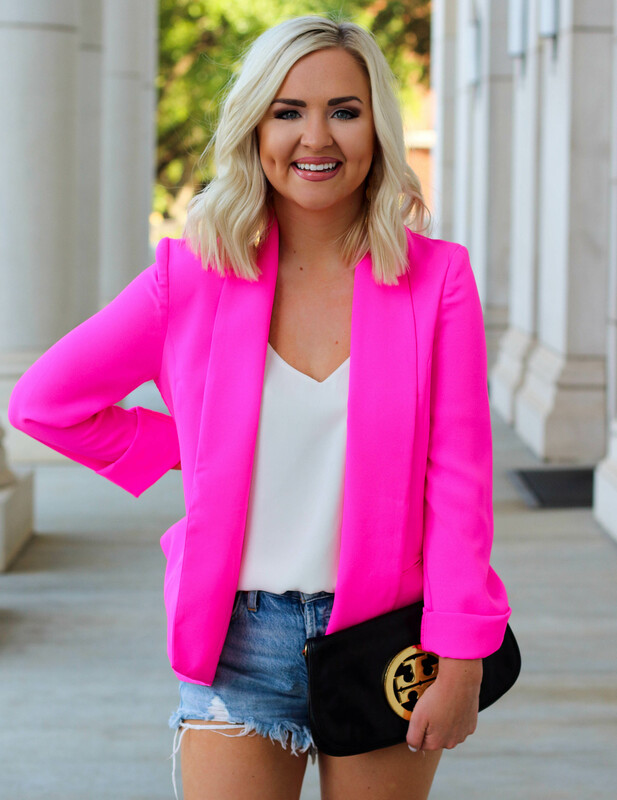 This blazer is actually old, so I didn’t want to share it until I found a close dupe! Luckily, I discovered an equally as fabulous one that I am linking below along with some other cute picks. (I typically wear a US 4 in that brand for reference) Drop a comment below if you have any questions! Have a great weekend friends!